I love the look of flannel so needless to say, I’m happy it’s trending again! That being said, I laugh at little at the prices of flannel things…especially since there is SO much flannel available at literally every single thrift store on the planet (thank you 90’s kids). I’ve been thinking a lot lately about ways to incorporate flannel into my wardrobe without always wearing a flannel shirt. And when my old ones die or get a hole, it’s nice to have some DIY projects up my sleeve. 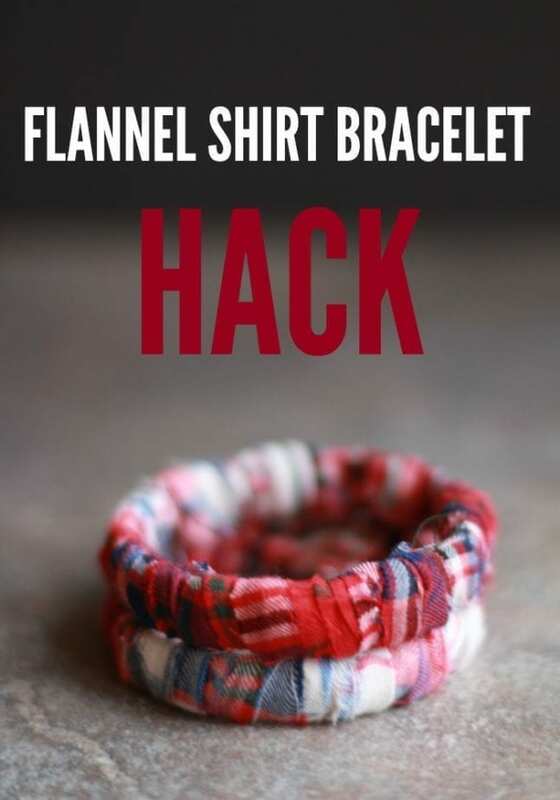 This easy no-glue flannel bracelet is a fun way to show off that flannel love, without going all lumberjill. Also what I love about this project is that it doesn’t require any messy hot glue. You simply tie strands of the flannel short together and wrap. Enjoy! No time to read? Here’s a video to get you started! 1. 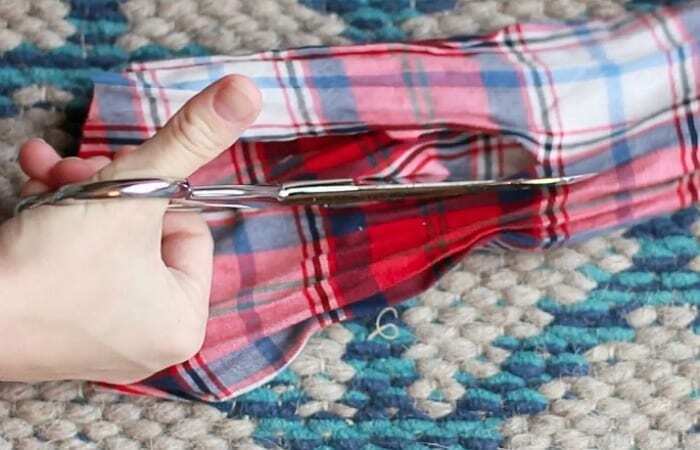 Remove a sleeve from a flannel shirt and cut it open. 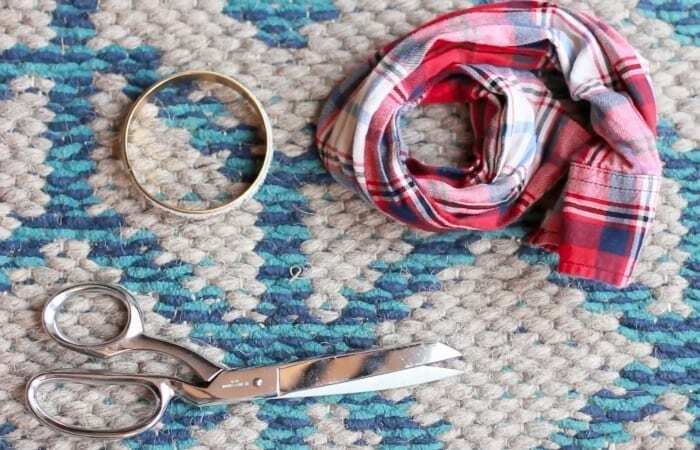 Cut and rip long strips of flannel fabric down the sleeve until you have about 5 to 8 strips. 2. Tie one end of the flannel strip to the bangle and wrap it around and around the bangle bracelet until the bracelet is fully covered. What do you do when you run out of a a strand of flannel fabric and there is more bracelet to be covered? 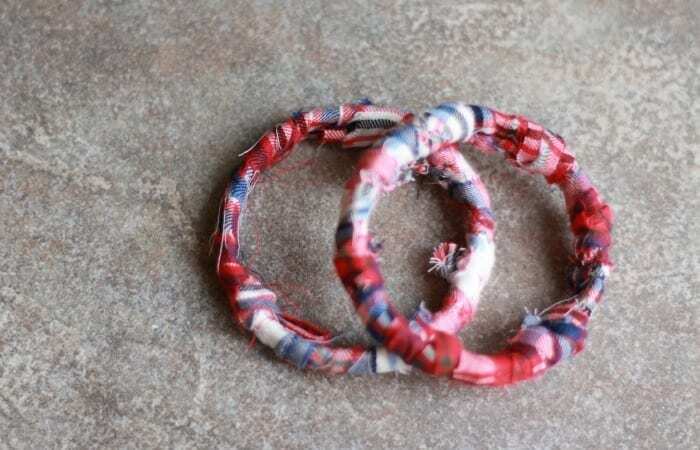 You simply tie another strand to it at the end and knot it, wrapping around the bracelet and overlapping the knot. 3. When you reach the end, tie the end piece to one of the overlapped wrapped around pieces and that will secure it. Now you are all set! Looking good! Pair with your favorite LuLaRoe or fall outfit and go have fun! !